Are you stuck for the right phrase ? Or did you miss a popular idiom? Do not worry – GujaratiLexicon Plus is here to help you ! 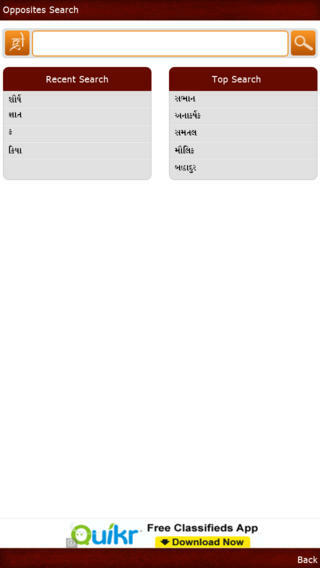 GL Plus is the companion application to the Gujaratilexicon Mobile App. 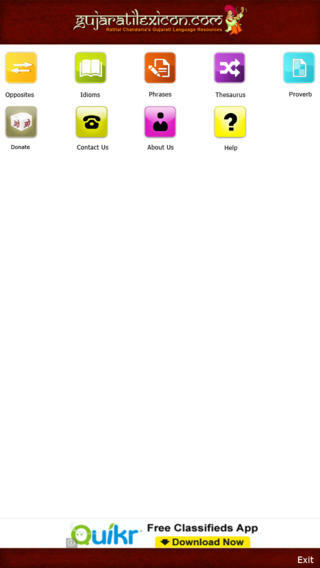 GL Plus is the first free online mobile application containing Gujarati Opposites, Idioms, Phrases and Thesaurus. It also contains Proverbs in English to Gujarati, Gujarati to English and Gujarati to Gujarati. More Than 15,000 Proverbs available in English to Gujarati, Gujarati to English and Gujarati to Gujarati.